Once again I’ve been among the rare few to lay eyes on Wargaming’s ultimate masterpiece. Any who denies World of Warships as said ultimate masterpiece is a delusional World of Tanks fanboi. World of Warships is pushing the limits of military arena gameplay in astounding ways each and every time I’ve visited. Despite being so amazing, the perfectionists in St. Petersburg still feel its not ready for press video recording. As such I will do my best to capture in words the newest features and upgrades World of Warships is bringing to the table. For starters, those familiar with World of Tanks Xbox 360 edition will be happy to know that World of Warships has begun implementing the ribbon system. For those not involved with this console gaming community, the Ribbons are both a real time and post match method of announcing player successes in various activities contributing to their team’s victory. In the case and long range barrage that is a typical death match in World of Warships, this ribbons are vital not only for bragging rights, but helping you realize exactly how you’re supporting the overall effort of battle. Beyond this, World of Warships has expanded upon the Destroyer smokescreen ability to grant every cruiser type a unique active trump card ability to give the gameplay more flavor. For instance, battleships can now activate a hyper repair ability to give them the gameplay feeling of facing (or being!) the ultimate dreadnought of the sea! Cruisers can now hyper charge their antiair fire, increasing their area of control in the skies to cripple pesky carriers from overpowering your more vulnerable allies. And carriers… well carriers are already OP artillery needing nerfing. So they get nothing special as their mechanics and planes as they’re already implemented is more than enough to make them a unique snowflake hamming up the dps while hidden amidst the icebergs. 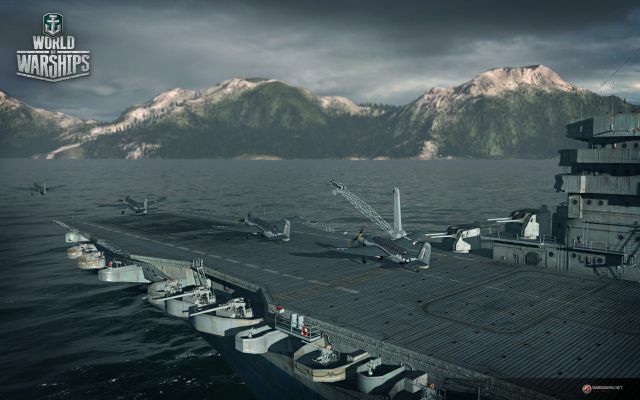 Though on the note of carriers, I learned that while the higher tier carriers (which apparently go as far forward in time as the USS Essex!) can carry more planes total, there are limitations in place of how many planes they can send out on missions at a time. They’ve also changed the fuel system out in favor of an ammunition system, meaning carrier pilots can focus a bit more on their positioning thanks to a bit less micromanagement of their warplanes. 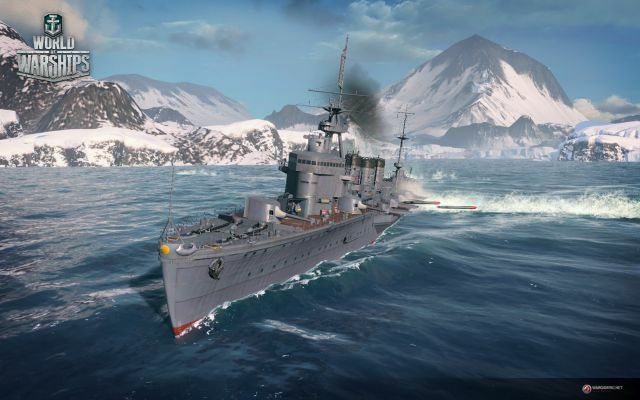 Speaking of icebergs, a new map was on reveal in the press room taking the standard Wargaming capture or kill mode to an interesting new level. See the twist is instead of two main bases for each side to capture for the win, you now need to control 4 spread out points across the map for ultimate victory. Which wouldn’t be THAT much of a twist, if not for the positioning of the control points within a jagger ship destroying field of icebergs. If you haven’t seen Titantic recently, its worth mentioning that this is bad news bears for any large vessel lacking the mobility and turning angle required to safely maneuver the icy landmine field to enter these points. And if your enemy should happen upon you once you’re inside, you can be sure that options for escape are quite limited, especially when torpedoes get involved. As expected, even in the short time since my last demo, the visuals of World of Warships have jumped 5 knots in quality. Ships now sport impressive emblems on the starboard, and have the most 1:1 representation of real damage reflection in the hulls. This means shells blasting through the lower hull will actually offer a look into the fiery hell of the lower halls. Taking a direct hit to your primary guns will not only disable those guns, but blow the hell out of them visually. When your ship goes down, it will already look like a massive wreck of a vessel that should have already sunk. Of course in true Wargaming fashion, they’ve studied the blueprints of every ship and properly reflect damage values based on how lightly armored or vital of a point you impacted with your shots. I pressed the team about their recently revealed weather system in World of Tanks Xbox One edition. As one would expect from some of the promo trailers, it’s certainly something they are excited to push into. Not for launch mind you, as its a monumental effort to accomplish realistically and enjoyably. But if you always dreamed of manning the Yamato through a typhoon, one day this dream will be a reality. 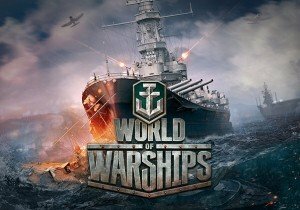 Another interesting twist on the typical Wargaming progression system that World of Warships is testing relates to their crew customization. It seems rather than a pure vertical progression system with crew upgrades, they’re looking at ‘side grades’ that don’t necessarily make a veteran player better than a new player that has the same ship unlocked, but rather adds a different take on the way the ship plays. Expects lots of trade-off decisions here as you build out each vessel to your personal preferred playing style through the crew system. 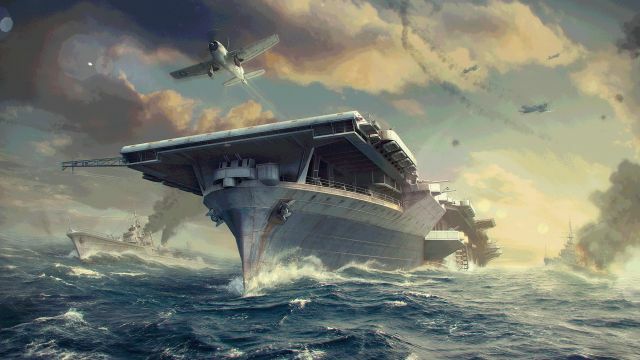 As things stand, World of Warships still plans to launch as a two nation team arena battle. With the exception of a single Russian vessel that happens to sit in the harbor near the developers’ Russian studio of course. Though I can’t share details, something massive is in the works in the coming weeks. It’s an exciting time to be a fan of Wargaming, so stay tuned for some breaking news that may arrive within the month! SkyBox Labs announces a new simultaneous turn-based tactics game on Steam Early Access. Wargaming is rewarding its toughest World of Tanks players with a new swag campaign, called Treads for Threads.